Applications are invited for a three-year PhD studentship in the School of Marine Science and Engineering. 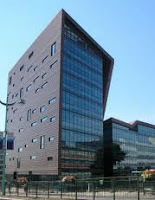 The studentship will start on 1st October 2011. The project will focus on coastal impacts in the lee of Wave Hub, a world-leading test centre for wave energy devices off the North Coast of Cornwall. Previous consultations showed the main public concern was on possible effects on beaches in the lee of Wave Hub, particularly the effect on surfing waves. Any changes in coastal waves will also affect areas of coastal erosion and rip current patterns, which have implications for coastal management and bather safety respectively. In conjunction with the Peninsula Research Institute for Marine Renewable Energy (PRIMaRE), new wave measurements from the PRIMaRE HF wave radar combined with the established 3-year archive of 3D beach surveys obtained prior to wave energy device deployment, provides an unprecedented world-leading opportunity to characterise the effects of waves on the coast in the lee of a wave farm. This should allow the development of a generic methodology for assessing coastal environmental impacts of offshore renewables, providing invaluable input to the EU SOWFIA project that is looking to develop pan-European policy guidance on such environmental impacts. The successful candidate will be involved with a wide range of research techniques including semi structured interviews and open questionnaires with coastal stakeholders, beach surveying using our quad-bike mounted RTK-GPS system and determining the characteristics and extent of wave shadowing in the lee of Wave Hub using our WERA HF wave radar facility. Applicants should have (at least) a first or upper second class honours degree in an Ocean Science, Geography, or Engineering area and preferably a relevant MSc/MRes qualification. MSc level modules in Research Skills, Mathematical Modelling, Coastal and Estuarine Sediment Dynamics, and Coastal Erosion and Protection are available. Candidates will develop competencies in field data collection and data analysis techniques (e.g. Matlab). The studentship is supported for 3 years and includes full Home/EU tuition fees plus a stipend of £13,590 per annum. The studentship will only fully fund those applicants who are eligible for Home/EU fees with relevant qualifications. Applicants normally required to cover overseas fees will have to cover the difference between the Home/EU and the overseas tuition fee rates (approximately £9,250 per annum). If you wish to discuss this project further informally, please contact Emily Beaumont, ebeaumont@plymouth.ac.uk. However, applications must be made in accordance with the details shown below. For an application form and details on how to apply, please visit Official Website. Applicants should send a completed application form along with a covering letter detailing their suitability for the studentship to Lucy Cheetham, Faculty of Science and Technology, Room A103, Portland Square, Plymouth PL4 8AA or e-mail lucy.cheetham@plymouth.ac.uk. Closing date for applications is 12 noon on 3rd June 2011. We regret that we may not be able to respond to all applications. Applicants who have not received an offer of a place by the end of July should consider their application has been unsuccessful on this occasion. Demikianlah informasi PhD Studentship in the Coastal Impacts of Marine Renewables at University of Plymouth kami sampaikan, semoga bermanfaat.